It's possible a SpaceShipThree with LAS? That's is my question for a future SS3 if it's possible have some kind of abort systems? Re: It's possible a SpaceShipThree with LAS? How about the whole crew compartment separates, good for higher altitude aborts, 'chutes in nose? With enough imagination, everything is possible. SS3, however is depicted as an intercontinental p2p transportation vehicle. - A reusable rocket capable of sending a manned craft to orbital speeds. - A reusable manned craft capable of going at orbital speeds. Other than that, they have everything lined up. Point is - if you don't know what this escape system is escaping from, you can conjecture anything. Virgin choose hybrid engine as it is lot safer than liquid engine. Fuel is a solid in engine, remove LOX and it is inert. Adding small capsule with LAS would reduce viewing windows and space to experience 0g, whole point of flight. Sub orbital flights aren't going to be anywhere near as safe as aircraft flight. Its a risk customers need to be aware. Hybrid rocket engines uses liquid nitrous oxide oxidizer not cryogenic LOX. 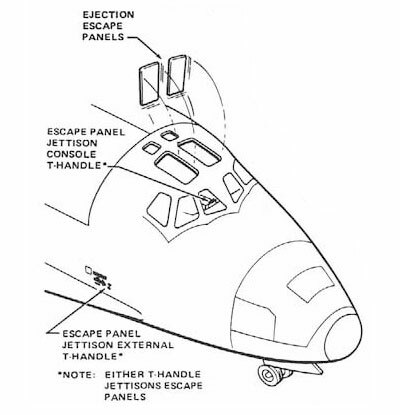 Can probably added escape system of detaching part of the vehicle for part of the flight profile. So viewing windows don't have to be modified. Of course using this type escape system means a bigger vehicle with lower propellant mass fraction. 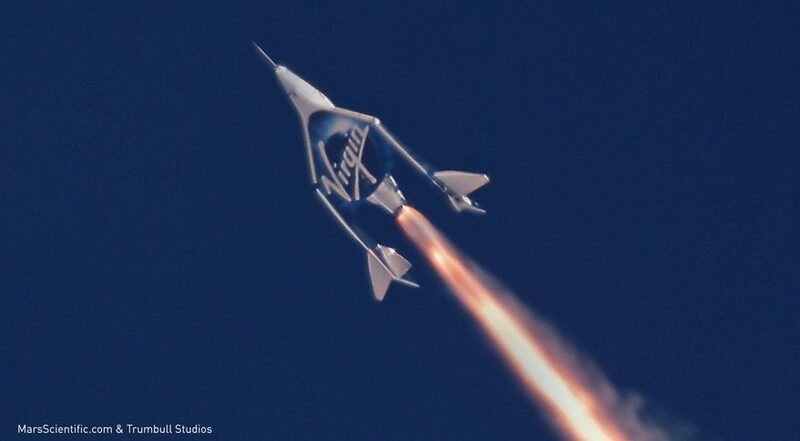 Of course Virgin Galactic have to come up with new clean design for SS3 first, since SS2 is a technological dead-end. So the passengers (and their luggage!) make it safely to the ground, but the pilots die in the wreckage?!? Seriously, the amount of additional weight required to reinforce the structure and seating so the passengers don't die on impact makes this idea non-trivial and extra weight is not something a SpaceShipThree can afford. 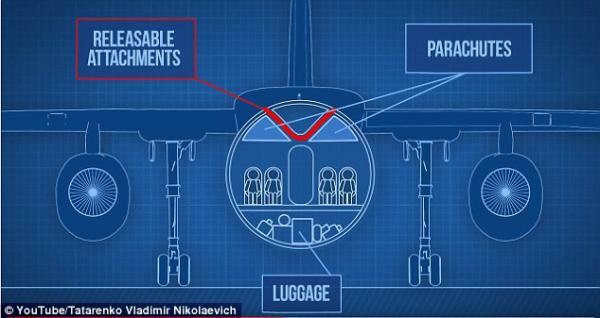 Additionally, airplane crashes are so rare that having an ejectable cabin with parachutes isn't worth the cost in fuel it would require to fly it around. In almost every situation, you are better off in the airplane, where there is a fair chance that the pilot can bring you down to a landing. Plus the majority of crashes that DO happen occur shortly after takeoff or just before landing, when a system like that is usless. All of this will apply to SS3. A not-completely-irrelevant comparison might be the crew escape capsules used in the F-111 (and other) supersonic aircraft. IIRC, not all ejections resulted in happy memories for the crew - sure some did, but many still died on impact or as a result of the capsule being compromised in some way - and general consensus appears divided over whether or not they're a good idea. F-111 was designed for crew survival from combat damage, real possibility given that it is warplane. The SS2 will be flying in perfect conditions, any failures are likely to be from poor design or pilot error. Adding LAS means they have very little confidence in the design and crew, its like placing ambulance at base of the cliff. The NASA / USAF definition of space has always been 50 miles, VG lowered their target altitude, they didn't change a definition. Also there's a fair argument to be made on lowering the definition of "space" to 80 km based on the lowest observed perigee of satellite orbits. You are misinterpreting what I'm saying... The system does not have the excessive performance required to incur a mass penalty and make it to space FAI or USAF/NASA... This is a hypothetical query of a system with a LES and based on existing performance parameters, what would VG sell as a ride to space then 40mi 30mi...? VG isn't going to add a LAS into SS2, so it's pretty irrelevant. Even 30 miles is still higher than manned balloons can go, so there's that.